Moto G is without a doubt an excellent device considering its price, and most importantly, the hardware it brings at such an affordable price. The handset is available for $179 for the 16GB model, while the 32GB version costs $199, from the Motorola online store. Recently, the prolific leaker @evleaks posted an image of the Moto G with a caption, “Moto G for Boost Mobile,” suggesting that the affordable handset might be available from Boost Mobile in the near future. Moto G rocks a 4.5-inch display sporting a resolution of 1280 x 720 pixels with a quad-core Snapdragon 400 chipset with a clock speed of 1.2GHz and 1GB RAM on board. On the storage side, the handset brings 8GB and 16GB storage, but there’s no expandable memory. On the rear, Moto G packs a 5MP camera capable of recording videos at 720p with a 1.2MP front-facing camera for video calls. Other features include WiFi, Bluetooth, 2,070 mAh battery and runs Android 4.3 Jelly Bean out of the box. In case you don’t know, the latest Android 4.4.2 KitKat update is already rolling out for the handset. 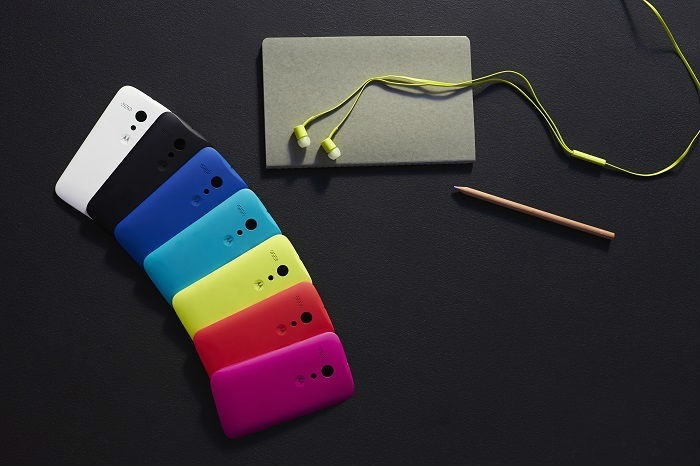 Motorola did a tremendous job in making sure that its devices stay updated to latest OS. Moto X is running Android KitKat on all major carriers, and as promised, they also released the latest software update for Moto G.